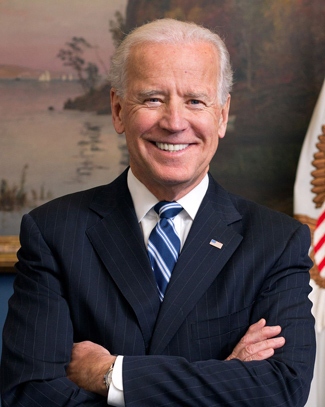 Vanderbilt University Chancellor Nicholas S. Zeppos will welcome former U.S. Vice President Joe Biden in conversation on Tuesday, April 10. The talk, which is open to the public, is scheduled from 6:30 to 7:30 p.m. in Langford Auditorium on the Vanderbilt campus. The event is part of the ongoing Chancellor’s Lecture Series for 2017-18. Admission to the event is free, but tickets are required. Tickets were available at Ticketmaster.com on March 28. All tickets have been claimed. Tickets are non-transferable. Tickets will be delivered via email on Monday, April 9, and scanned at the doors to Langford Auditorium on April 10. Doors will open at 5:15 p.m.
Vice President Biden represented Delaware in the U.S. Senate from 1973 to 2009. As chairman or ranking member of the Senate Judiciary Committee for 17 years, he was widely recognized for his work on criminal justice issues, including the landmark 1994 Violence Against Women Act. As chairman or ranking member of the Senate Foreign Relations Committee for 12 years, Biden played a pivotal role in shaping U.S. foreign policy. He was at the forefront of issues and legislation related to terrorism, weapons of mass destruction, post-Cold War Europe, the Middle East and Southwest Asia. Biden served as the 47th vice president of the United States from 2009 to 2017 and continued his leadership on important issues facing the nation. He represented the United States abroad, traveling more than 1.2 million miles to more than 50 countries. As vice president, Biden convened sessions of President Barack Obama’s cabinet, led interagency efforts, and worked with Congress to raise the living standards of middle class Americans, reduce gun violence, address violence against women, and end cancer as we know it. On Jan. 12, 2017, Obama awarded Biden the Presidential Medal of Freedom with distinction—marking the only time Obama awarded the Medal of Freedom with the additional honor of distinction. After leaving the White House, Biden created the Biden Foundation. He was named the Benjamin Franklin Presidential Practice Professor at the University of Pennsylvania, where he created the Penn Biden Center for Diplomacy and Global Engagement. He also founded the Biden Institute for Domestic Policy at the University of Delaware. Key areas of focus include protecting children, ensuring LGBTQ equality, shaping foreign policy, strengthening the middle class, and ending violence against women through the “It’s On Us” campaign. Along with his wife, Dr. Jill Biden, he founded the Biden Cancer Initiative, and they continue their late son Beau’s work protecting children from abuse with the Beau Biden Foundation for the Protection of Children. In 2017, he published Promise Me, Dad: A Year of Hope, Hardship, and Purpose, which became a New York Times bestseller. Parking for the April 10 Chancellor’s Lecture will be available in the 25th Avenue Garage, located near the intersection of 25th and Highland avenues. Please use the Highland Avenue entrance.